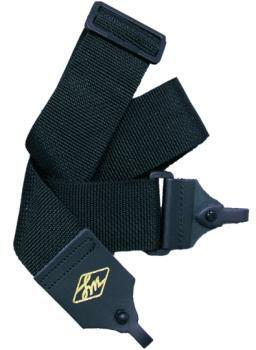 2" soft-hand polypropylene banjo strap with metal clips and tri-glide adjustment. Adjustable to 60". 2½" leather banjo strap with sheepskin lining and cradle attachments. Adjustable from 62" to 68". 3" Cotton Cinch w/ Cradle Leather Top/Bottom and Cradle Style Attchmt.